Take a polystyrene wreath and fuzzy bulky yarn. 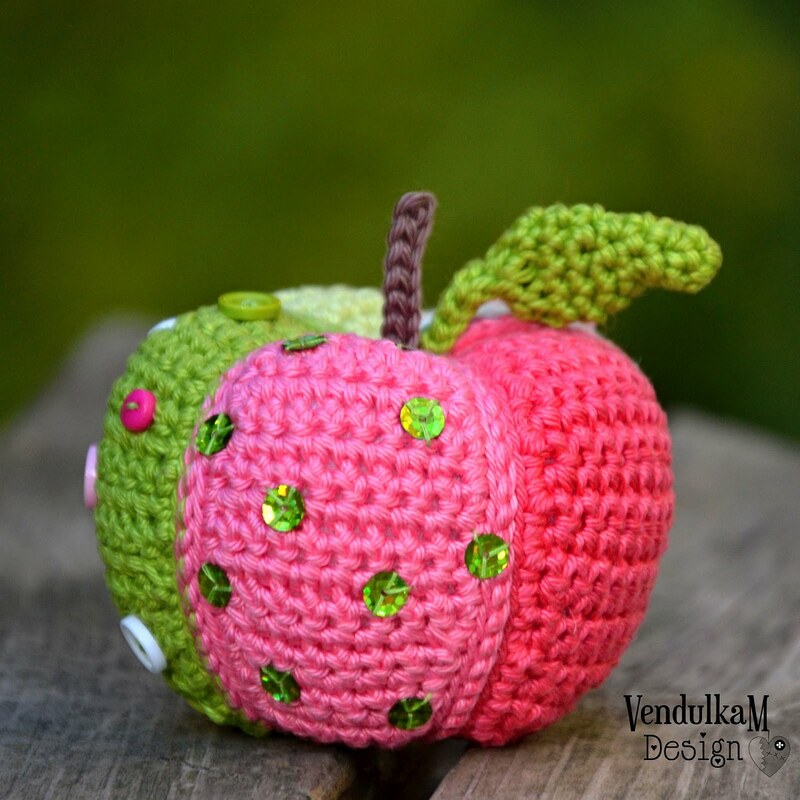 I use no brand yarn, I bought it from e-Bay, I was so curious to test it :-) I like that green color very much and like the texture. For decoration - it is great. 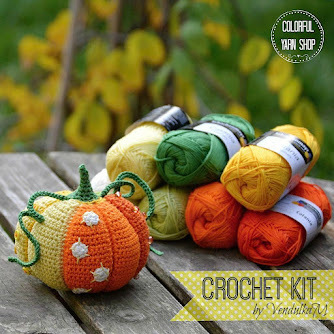 But if I would make something for children I would always choose the tested brand yarn for sure. 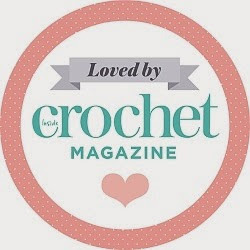 So take a yarn and hook 5 mm and crochet around the wreath. I always change the direction of the yarn to I will not tangle it. 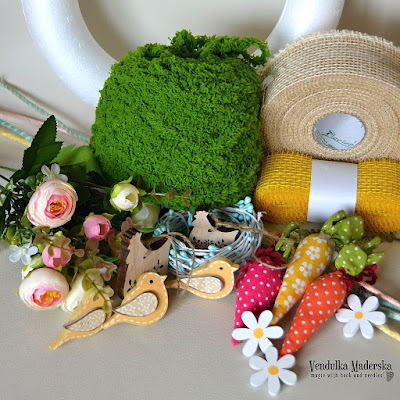 Then change the direction and take the yarn from the bottom of the wreath and make 1 SlSt. 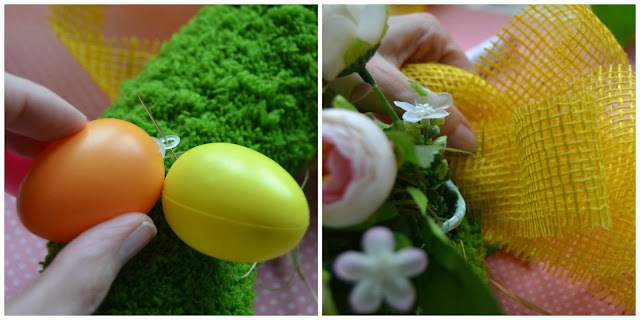 Wrap the yarn around the wreath tight and thick. 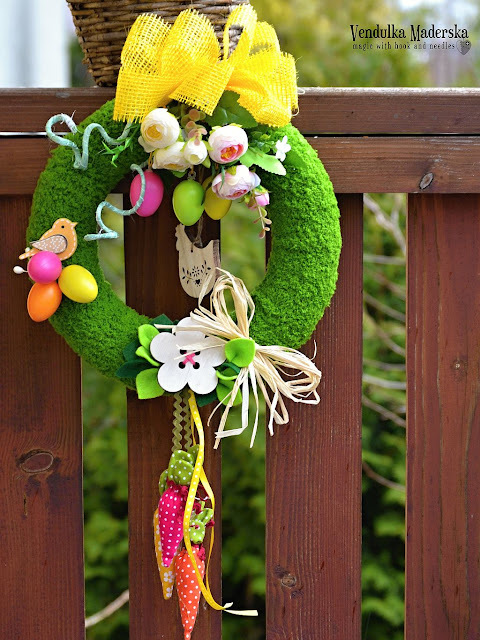 You could also wrap the yarn around the wreath without crocheting, but with making a SlSt is the yarn secured a little bit and I like it more. Make a loop for hanging with tightening of the ends of the yarn. 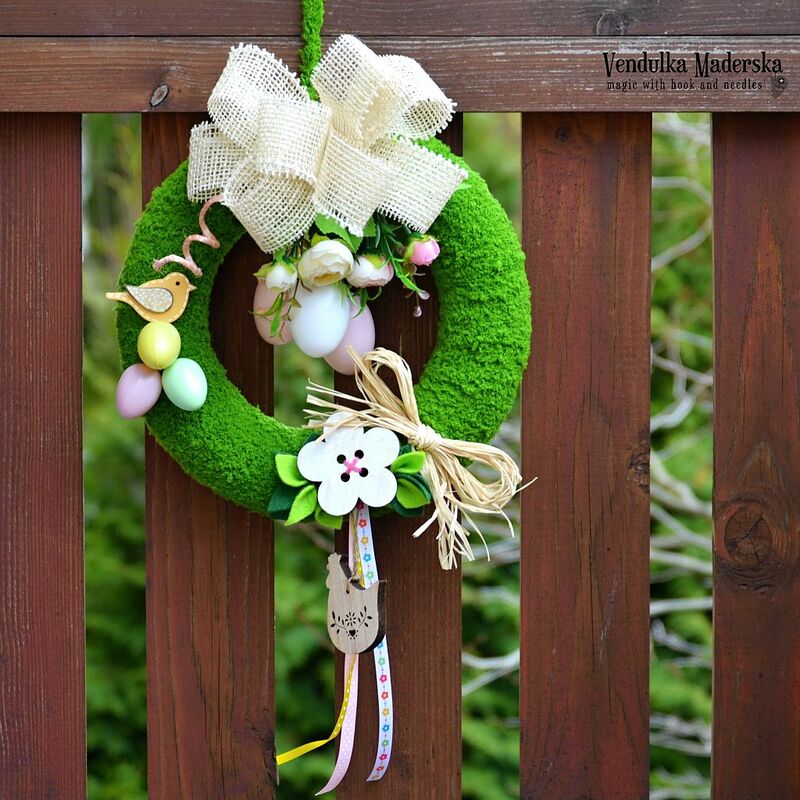 The main part of the wreath is finished and now you will decorate it. Follow your imagination or let me inspire you :-). 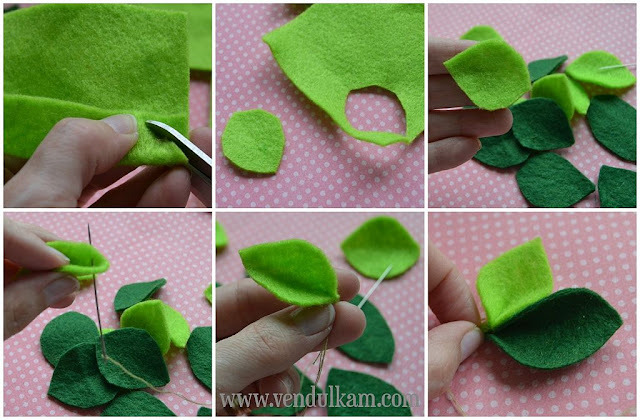 Well, we have to make the leaves first :-) Just take a piece of green felt. I choose dark and bright green piece of felt. Take the small piece and fold in half and cut the leaves as you see on the pictures. Make different sizes. Then take a leaf, fold it in half on one side and insert the needle there. 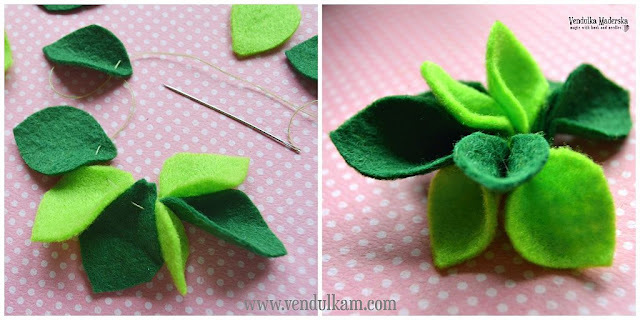 Sew several leaves together and tight it. I used 9 leaves for each embellishment. 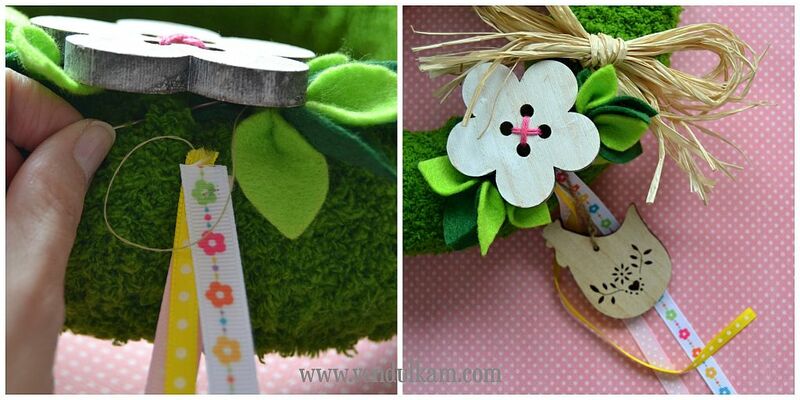 I made two embellishments, one for each side of the big flower. Sew the flower button or some another big button in the middle of lower part of the wreath and sew the leaves next and a little bit under the big button. For our wreath, I will use these cute carrots. I made them already. I followed this great tutorial. They look really cute and are quick to make. You could use scraps of fabric, what is great. You could use them for many Spring decoration. If you would not make the carrots, you could easily sew some ribbons and add some bird component only. 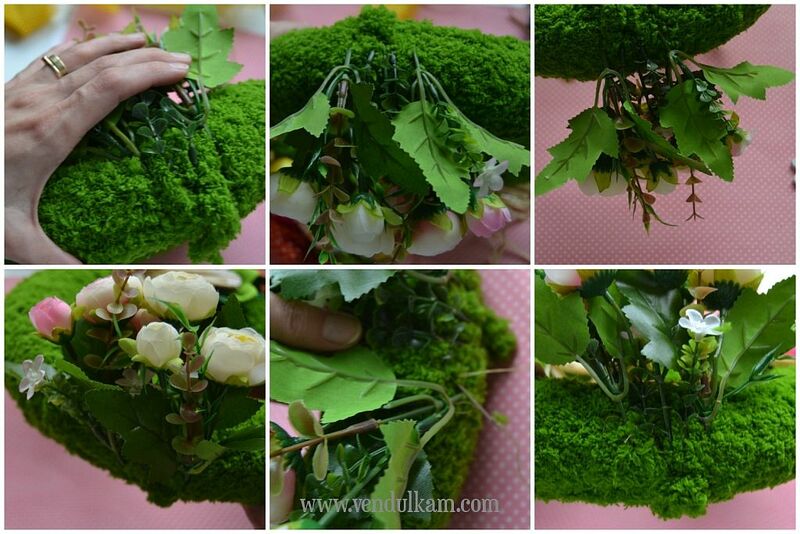 Use bast fibers in natural color and tight a bow and sew it next to the flower. Then make the jute bow. If you would like to make a nice bow, you could follow this tutorial. 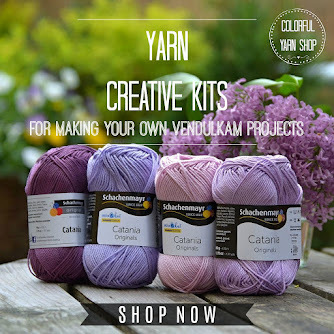 The Fuzzy Yarn - How to crochet with it?